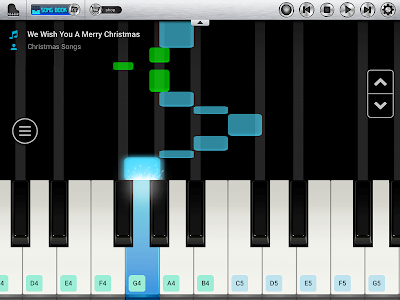 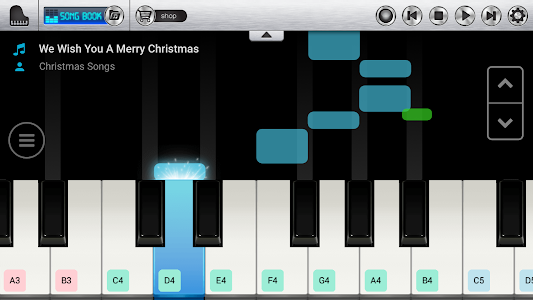 In the upcoming version, we will add multi-touch, note velocity, after touch, pitch bend, sampler, full feature recorder, MIDI sheet music editor, sensor force, multi-level volume change, recording, cloud load & save, co-op via WIFI and bluetooth, full grand piano's octaves, many skin, theme and visual effect, localized key name labels, window animation, looped playback, hardware acceleration, tablet optimized, pen and s-pen support, haptic feedback and fullscreen option. 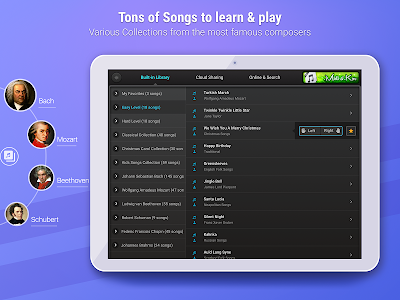 - Phone State Access helps us distinguish users' transactions and manage Ruby numbers. 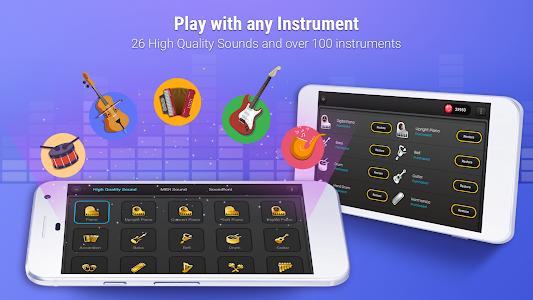 We can assure this request is completely reliable and strictly conforms to Google Play's policy. 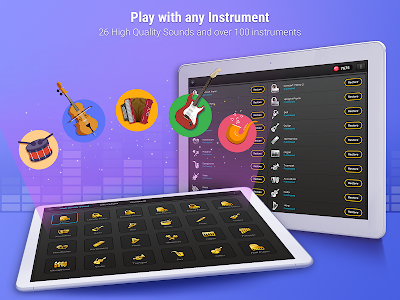 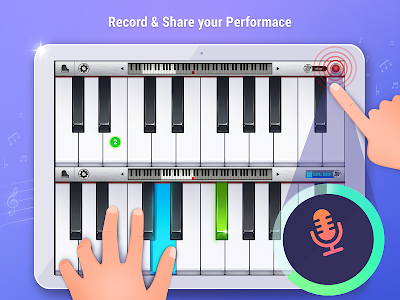 - Improve default Piano sound quality. 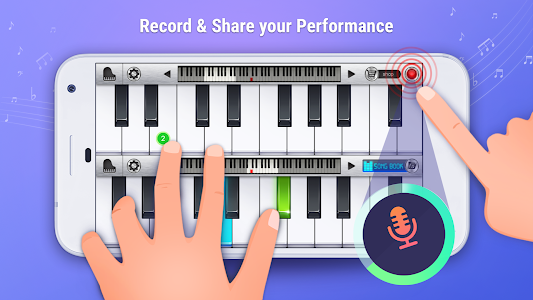 Please use headphones or external speaker to get the best experience. 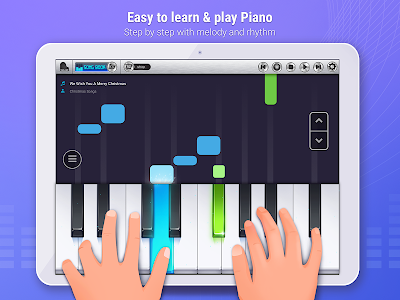 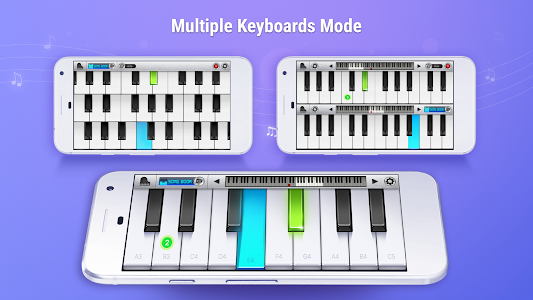 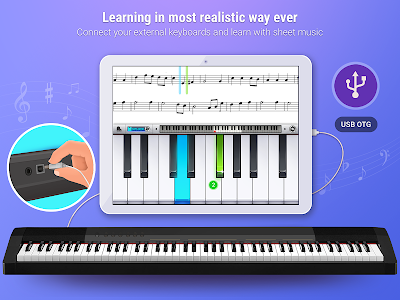 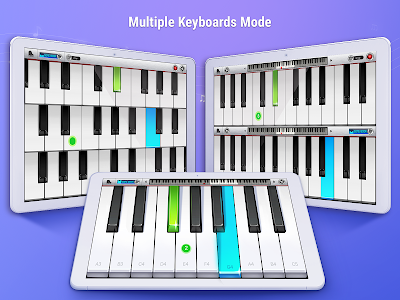 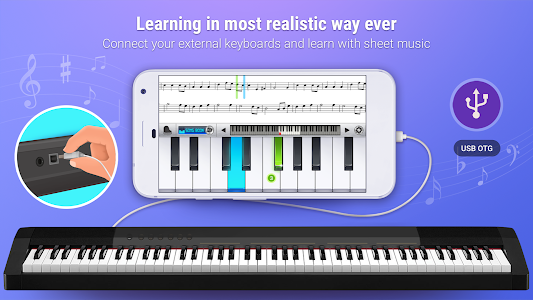 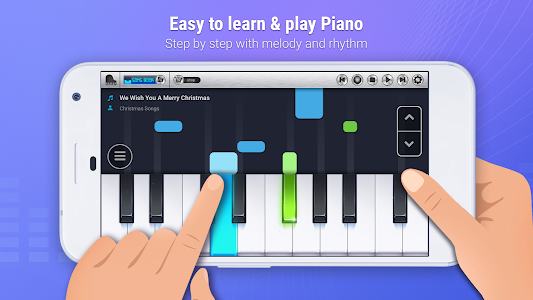 - Fix incorrect tone when pressing Piano keyboard on some devices with Android 5.0 and above. 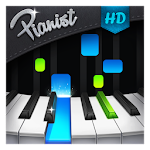 Similar to "Pianist HD : Piano +"